Of course! Tickets are priced at £11 for 5-16 year olds and under 4 year olds are free. Alternatively, Family Tickets are available for £45 (£48 on the Gate) and include 2 Adults and up to two 5-16 year olds. If you have any specific allergies or intolerances please ask a member of staff in The Stables Café, or contact us before your visit. You may take photographs of the exterior of Althorp House and grounds for personal use. Unfortunately, internal photography is not permitted without prior arrangement. Photography taken for any commercial use must have prior written consent from the Althorp Estate. If you are interested in the possibility of using Althorp as a location for filming or photography please send an email with your enquiry to filming@althorp.com, or read more about Althorp’s potential as a commercial photoshoot location here. Dogs are not permitted on the Estate, except for guide and assistance dogs. Refreshments including light lunches, cakes and a variety of hot and cold drinks are available from The Stables Café with ample seating both inside and al fresco in the Stables courtyard. If you have brought a picnic, please use the dedicated picnic area overlooking the Deer Park. What is the current exhibition? There is a new exhibition for the 2019 Season – Animals of Althorp, a unique opportunity to discover the never-previously-told story of its many animals and the undeniable mark they left upon the Family’s history. The new Animals of Althorp exhibition takes guests on an intriguing tour of the historic House’s lesser-known residents. Visitors can explore an intriguing collection of artefacts situated in the Stables Courtyard, fittingly once home to the Spencer Family horses. As part of the exhibition, visitors can also enjoy a trail through Althorp House with an Animals of Althorp guided map, highlighting key exhibition pieces through the House’s State Rooms including a number of original portraits, artworks and antiques. Guests can also enjoy updates of the existing exhibition ‘The Spencers, The History of an English Family’. This well received journey through nineteen generations of The Spencers, includes pieces from the sixteenth century to the present day and charts the fortunes of the men and women, who have lived at Althorp for over five hundred years. Why did the Diana Exhibition close? The Diana: A Celebration exhibition closed at Althorp in 2013, and closed globally at the end of August 2014, after 15 years of critical acclaim. Can I have my wedding at Althorp? Yes. We are able to hold civil ceremonies in any of the following five magnificent State Rooms: The Picture Gallery, the State Dining Room, the Great Room, the Saloon or the Marlborough Room. We invite you to host both your ceremony and reception at Althorp. Equally, if you are planning a church wedding, we welcome you and your guests to enjoy exclusive use of the House for your wedding day and night, while hosting your reception here. Find out more about Althorp weddings here. Can you hire the House exclusively? Yes. Althorp House is available for exclusive hire. Discover more about the exclusive opportunities available here. Can you hire the House for an event? Althorp House, Deer Park and The Stables are for exclusive private hire and bespoke events. Please read more here. Alternatively, contact the Events team on 01604 770107 or by e-mail on events@althorp.com. Where do I direct filming enquiries? Althorp is available as a filming and photography location. Click here to explore potential of the House, Parkland and Wider Estate. Please direct any filming enquiries in writing to filming@althorp.com or fill in the online form. Where do I direct media and press enquiries? Please direct all media and press enquiries in writing to media@althorp.com. 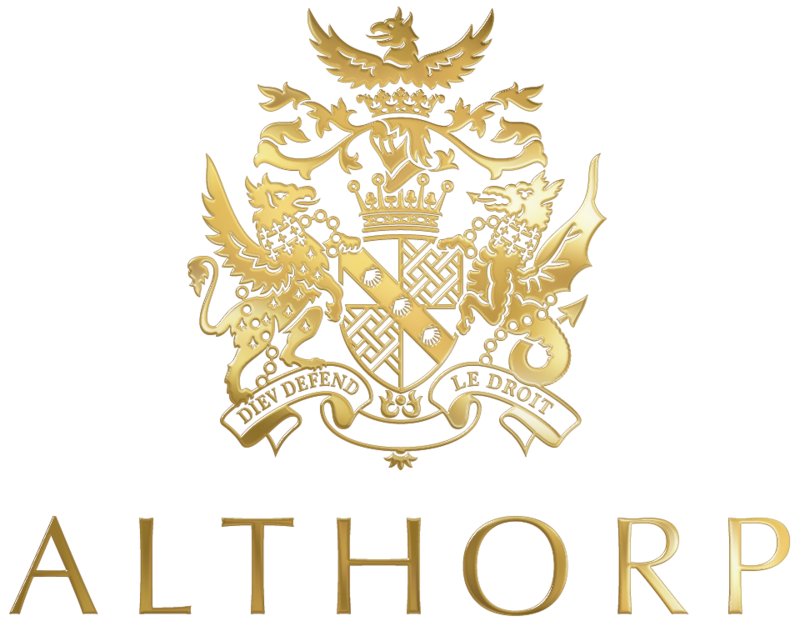 Is Althorp part of the Historic Houses Association? Yes. Althorp is proud to be part of the Historic Houses Association. All HHA Members and Friends will receive free entry with a valid membership card on any of Althorp’s public opening dates during normal opening hours. Althorp is open to visitors for Public Opening between July 2019 and August 2019 excluding the 6th, 7th and 21st July 2019. Tickets can be booked online in advance or on the on the gate when you arrive. Please click here for more information on Public Opening Tickets. Yes. There are plenty of benches and grass areas to take a picnic in our dedicated picnic area. Fully accessible toilets for wheelchair users can be found in the Pump Yard behind the Stables Courtyard. Am I able to make a group booking in advance to ensure there are no problems on the date we intend to visit? Yes, you can – please note that it is essential that a group booking is made in advance using the form provided on the Group Visits page. During the opening season, Althorp is open to the public from 12 midday to 5pm, with last admission to the House at 3pm, and to the Stables and Grounds at 4pm. What are your policies on safety and security? Can I bring a bag? Yes you may. For your safety and security, bag searches are in operation. Do you have information on local accommodation? Yes. Please visit our Places to Stay page. What is your lost property procedure? Althorp House aims to collect and store items of property that are deemed to be lost by visitors and guests in the House and grounds. Please contact the House Opening Team for more information on 01604 770107. How do I get to Althorp? The postcode for Satnav’s is NN7 4HE. Further information and directions can be found here. Free car parking is available to all visitors, please note that there is a 5 to 10 minute walk from the car park through the grounds to the House. Disabled parking is available on request. Please note some of the ground is uneven and appropriate footwear should be worn. Can I reach Althorp by bus? There is a public bus service run by Stage Coach. Please note that there is a 20 minute walk from the bus stop to Althorp, which may not be suitable for all visitors. For further information and a timetable please visit www.stagecoachbus.com, or telephone Northamptonshire Stage Coach on 01604 676060 (8am – 5pm Mon-Fri). The Estate and The Stables and ground floor of the House are fully accessible to wheelchair users. Please note that there is no assisted access available to the upstairs rooms in the House. Visitors with accessibility concerns, and queries about the disabled parking, are asked to contact the House Opening team directly regarding their visit on 01604 770 107 or email mail@althorp.com. The principle railway station is Northampton, 6 miles from Althorp House. A regular service is offered from London Euston to Northampton and Birmingham International to Northampton. Please see www.nationalrail.co.uk for more details. Which are the nearest airports? Yes. The Althorp Gift Shop is located in the Stables Courtyard and is fully accessible for wheelchair users. Is there an online shop? Our online Gift Shop carries a range of products and can ship internationally. Visit the Gift Shop here. Do you have a souvenir brochure? An Althorp guidebook is available to purchase and makes for a lovely way to remember your visit. Our brochure is packed with facts and information and relates the history of Althorp House and the Spencer family. Purchase from our online gift shop, add to your ticket order, or take one home on the day of your visit from the Gift Shop in the Stables Courtyard. Is there overnight accommodation available at Althorp for corporate guests? Althorp House has 28 guest bedrooms, providing overnight accommodation for up to eighteen corporate guests. Please read more here. Alternatively, contact the Events team on 01604 770107 or by e-mail on events@althorp.com for further information. We would advise that you allow at least 1 hour for your visit. All House Tours are now free flow with our Guides placed in each room in the House. Yes. Baby changing facilities are available in the public lavatories located in the Pump Yard, behind the Stables Courtyard. May we bring pushchairs into the House? Yes of course. Please be aware that there is only ease of access to the Ground Floor levels.